It’s really hard to not binge when you want to binge. It’s really hard to go out for a run or to the gym or for a walk when you want to sit home and sit in front of the television and binge. It’s really hard to sit down for 20 minutes and meditate when you’re sitting in front of your laptop staring at Facebook. It’s really hard to go to a yoga class when your couch is so comfy. It’s really hard to go to the DMV or the post office or to clean your house or do dishes or straighten things out with your insurance company or any other mundane task that has to get done when you can put them off for another day. It’s hard but it’s not really. But it is all at the same time. I mean, really, how hard is it to walk out of your house or apartment and talk a walk or a jog around the block. It’s easy. How hard is it to close your laptop or turn off your TV and go do your laundry? None of it is really hard. But it feels hard. It’s that resistance to doing that can feel so challenging. Waiting for the motivation to study or to do art or to work on your novel or sit down to meditate or to go to the gym often doesn’t work. Sometimes we have to fight through our own resistance. This is a practice. It’s about understanding that you don’t want to do these things but doing them anyway. The reward is on the other side. 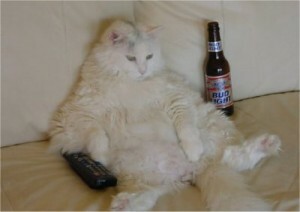 For instance, if you know that you really, really want to binge, it takes a great deal of effort not to. It takes more effort to call a friend or to write in your journal or to do something different. However, think about the future. Take a few moments to think about how you will feel if you do give into the binge. What will you be feeling later? Tomorrow? What if you choose not to? How will you feel then? When you are addicted to bingeing, you associate the binge with pleasure. The idea here is to create new synapses in your brain so that you begin to associate not bingeing with pleasure. So that you begin to find not bingeing more effortless. This is the same with doing things like menial chores that you don’t want to do or things that would be good for you like yoga, meditation or exercise. Try to think about the future. “If I meditate for 20 minutes, I will feel great later. If I go for a 1/2 hour walk, I will feel great afterwards.” As you begin to push through the resistance, you will find that getting things done takes much less effort because you begin to associate productivity with pleasure. As you practice this, you will be rewarded by having a bed that’s always made, clean dishes, no bills or debt piling up. You will find that life just feels easier. The resistance isn’t necessarily real, it just is. You don’t even have to fight the resistance. You can bring it with you, put it in the car next to you and bring it to the DMV (it will certainly have lots of company there)! This can be so empowering as you begin to take responsibility for your own life and begin to meet your own needs. If you find that it feels impossible to move through your resistance, you might want to begin to ask your resistance why it’s there with you and what purpose it serves. As you begin to understand why it’s there, you might find that you don’t have use for it anymore. Motivation is hard to muster up, but don’t wait for it. Bring your blase’ attitude with you on whatever you do. You don’t have to say, “I’m going to meditate for 20 minutes” but you can say, “i’m going to meditate for 20 seconds,” and let yourself sit for just a moment. You don’t have to go to the gym for 45 minutes, you can take one quick walk around your block. You don’t even have to do that, you can take a walk out your front door and walk for exactly one minute then turn around. Sometimes, the idea of having to do something can be so overwhelming that it stops you. Don’t make it into an event. Just do whatever you can. You might find that once you get started you can continue longer than you planned. Maybe not. Even just a bit will find your rewards. Rather than completely resisting a binge, tell yourself that you’re going to put it off for 20 minutes. You will find that giving in (to a binge, to facebook, to procrastination) is much less pleasurable as you begin to find the joy in taking control of your life. Things just begin to get easier. Posted in: cognitive behavioral therapy, therapy. Tagged: dealing with resistance, fighting binge eating, resistance to recovery. First, I want to thank you for this blog. It has given me so much hope and inspiration as well as some really practical advice to help me on my way to recovery. I really like the idea of creating new synapses in the brain. The action of “fighting through resistance” as an actual practice is so tangible. 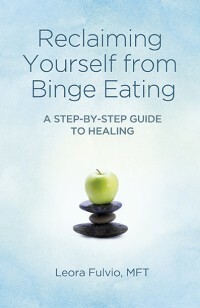 For me, the thought of overcoming binge eating can be extremely overwhelming, but this is a concrete way that I can start to reverse my brain’s association of bingeing and pleasure. Thanks again! Thank you for the post above, it feels comforting to be reminded that i’m not the only to be dealing with bingeing – not that I take pleasure from anyone else having to deal with it as it’s awful. I get so confused by my compulsive behaviour. In the past, the urge to binge would present itself and i’d feel powerless to stop it and would always give in. These days I don’t get these urges so often. This would be great except I seem to try and create these urges instead. I will purposely put myself in temptations way, purposely try and get myself into ‘binge mode’ even though I don;t really have a genuine urge to do it. Does that make sense? Dose anyone else do this? I think I know why – I think I’m trying to recreate the ‘high’ that bingeing used to give (but rarely does anymore) I guess I’m still to find a replacement ‘High’. I feel guilty about the amount I eat as I’m not overweight even though I should be. I get so scared that the time will come when I’m not so lucky and can’t get away with overeating without piling on the weight. I don’t want to get fat. I just wish I could eat in a healthy, sane way, instead of always thinking about it, always being scared of it, always feeling controlled by it or overpowered by it. I’m not sure I’m ever going to get there? I feel like no one takes this seriously, because i’m not overweight. They just say ‘you’re not fat so don;t worry about it’. They don’t understand how awful it is to always, always be thinking about food. I think if I’m honest, I hate food, I hate it because I can’t just treat it as fuel or pleasure. It has so much more attached to it, which makes it dangerous to me. I feel bad for my body, for what I put it through. I overeat and try and compensate by doing intense cardio. my poor body then gets worn out and weary and I have to drag it through the following day. I eat veggies, fruit, wholegrains, lentils and all the good stuff. but also too much of the unhealthy stuff in insane quantities. I truly believe our bodies are our temples. So why do I treat mine so badly? I would like to get to the point where I am strong enough to walk with my comulsive desires without giving in to them. I think it’s too much to expect them to disappear.